DYSTOPIA TV Series In The Works? Well, this one looks interesting. 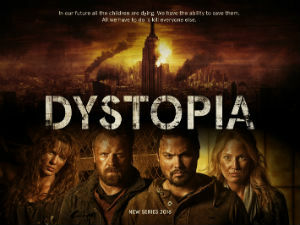 DYSTOPIA is a prospective TV series about a future in which humans have lost the ability to reproduce. As a result, the last generations of the human race have run the planet into the ground. Enter our heroes, who have discovered time travel. They can go back and change the past, but what kind of future will they create? CHILDREN OF MEN meets time travel with 12 MONKEYS overtones. Could be good. The project had a crowdfunding effort but didn’t reach its goal; however, QuietEarth.us reports that it’s moving ahead anyway. Stay tuned for dystopian goodness. Another great post on the show here, with lots of info.